I strongly believe that this pallet wood is literally a blessing for all of us. This has re defined the definition of some fine wooden furniture items, it has given us immense freedom of exploiting the useless shipping pallets that were considered to be of no use in some earlier times. Now we are free to make and design several wooden articles according to our needs and choice. 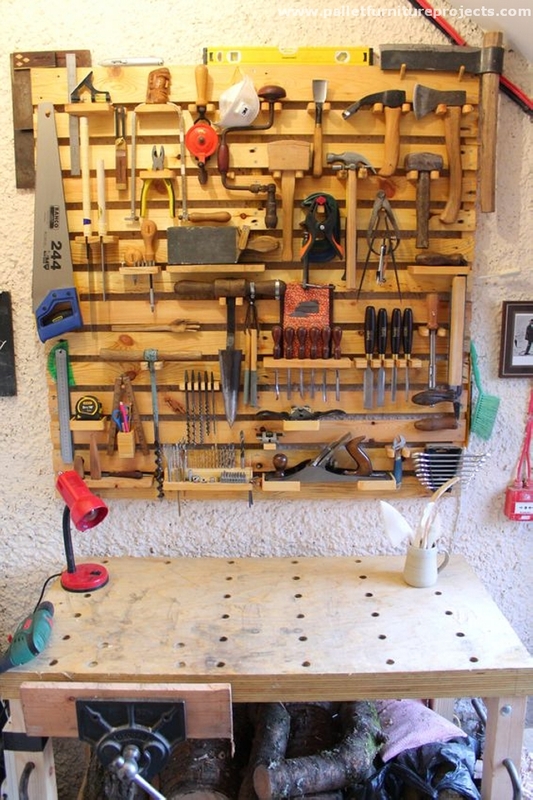 And obviously this is the freedom rendered by shipping pallet recycling that allows us to think about making a full fledge tool rack for your domestic workshop or wherever you work. 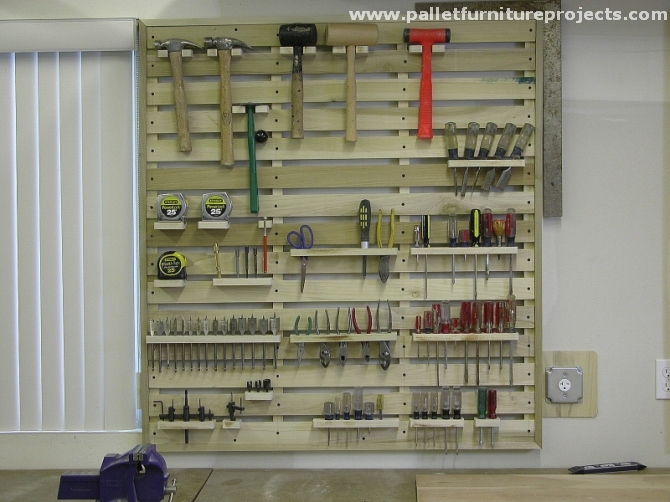 Let’s have a look on multiple pallet tools rack ideas that you guys would adore. 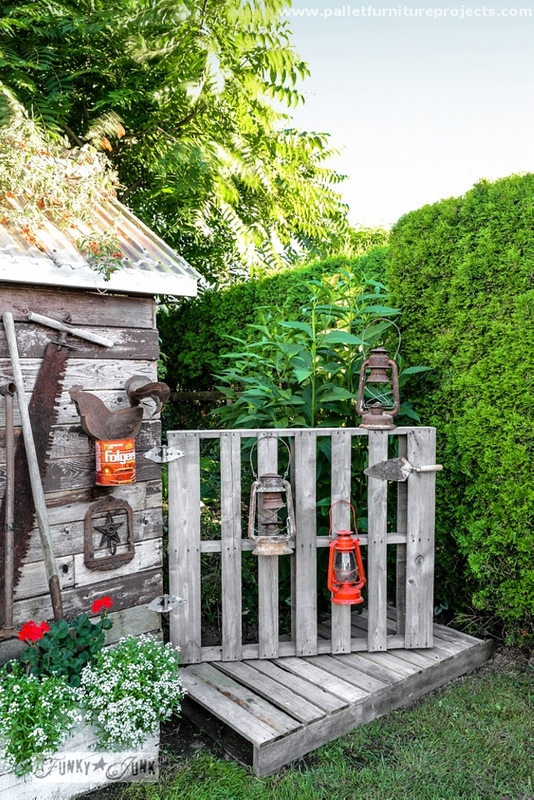 The very first one purely belongs to your gardening work. 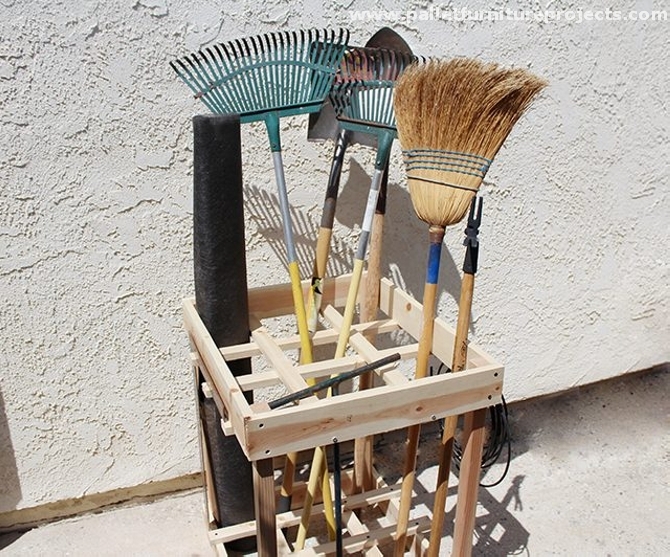 It has got all arranged or lined up on it that can be used while working in the garden. So all the tools are combined at one place to make the job easy for you. 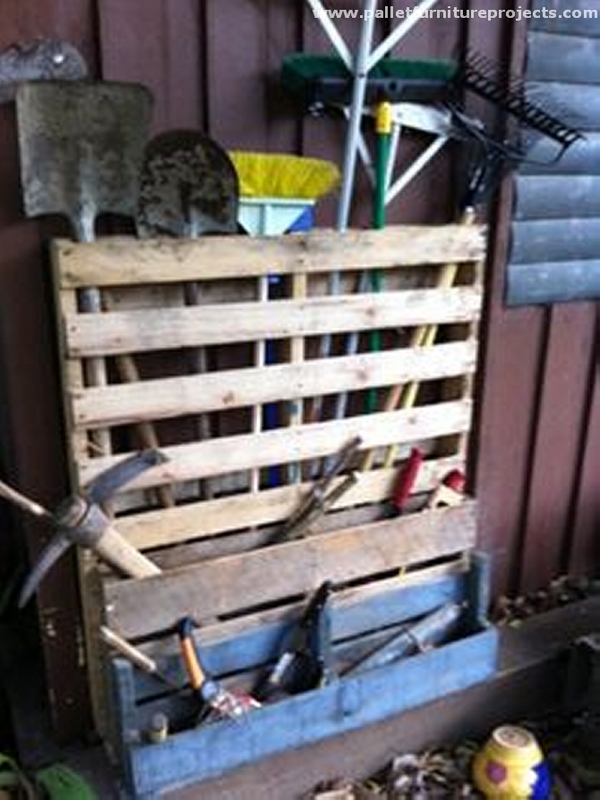 No matter if you are left with some broken shipping pallets, you can still put them to use like we did here in recycling this vintage or some broken tools rack. Despite of worst condition this is completely functional and is totally equipped with all necessary portions. Oops, just look at this one. 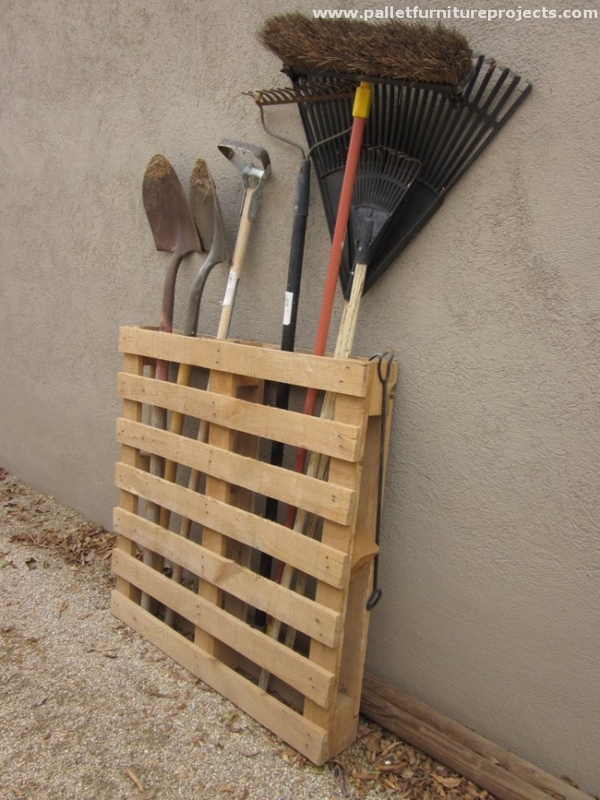 Can a pallet creation get so simple? I mean for real? 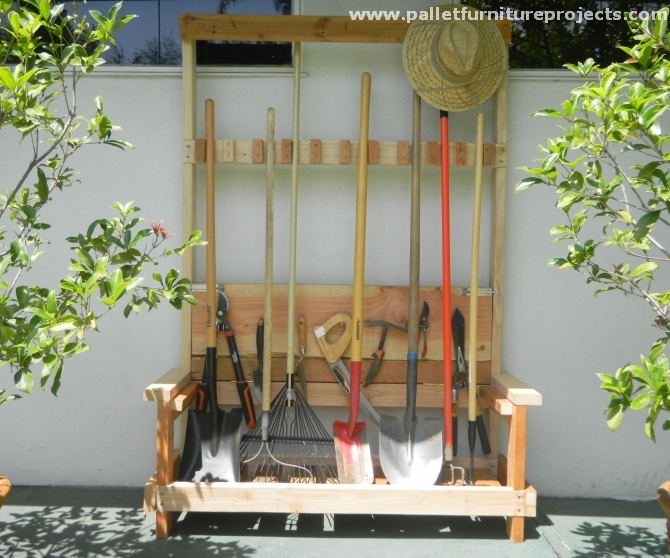 Yeah this is really a superb idea of pallet wood recycled tool rack. 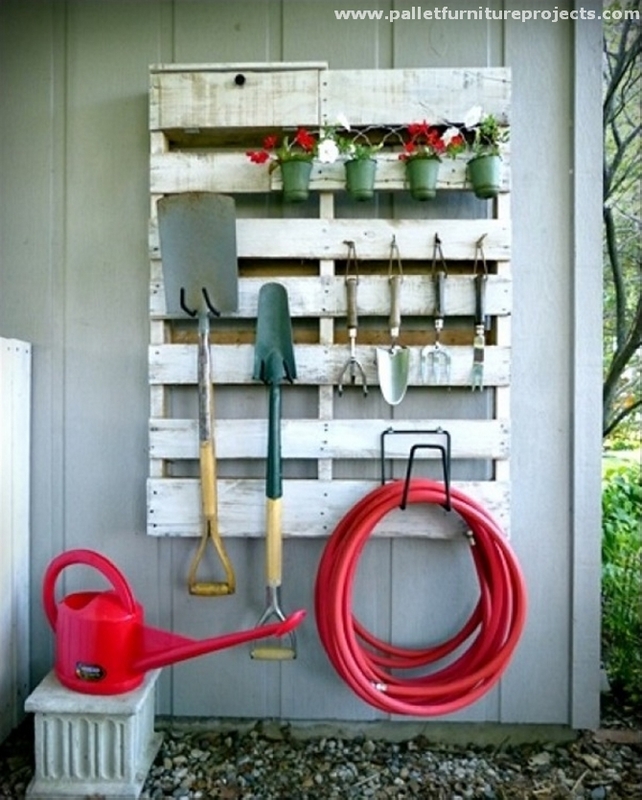 No nailing no sanding or cutting, just grab a whole pallet, do minor modifications and you are done for now. Well, now this is something more of a professional thing. Something more comprehensive and detailed. 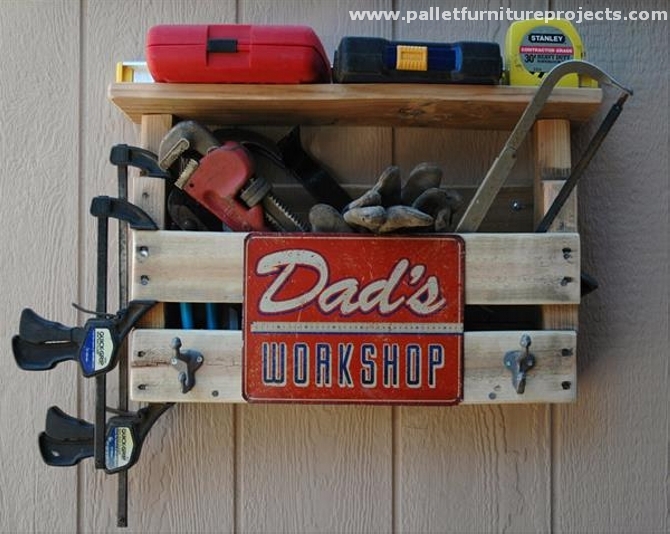 On having a very first look, one might get confused that if he is on some commercial tools dealing store in front of the main display rack, but this is actually a smart pallet wood tool rack. 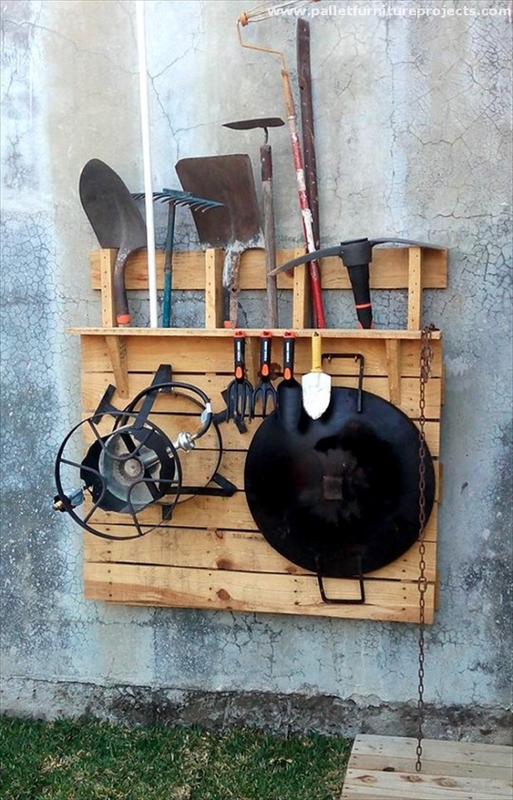 This simple squared box is again installed here for taking some good care of your tools that you use domestically while performing various tasks. 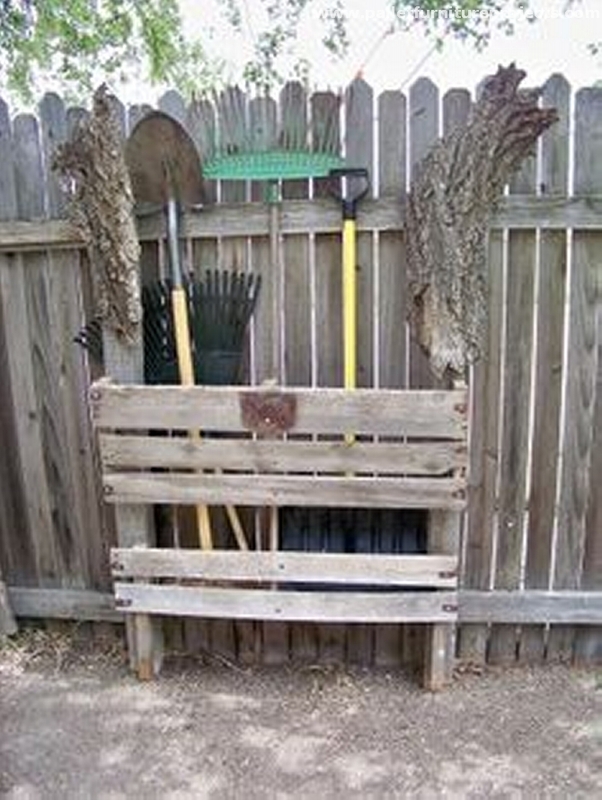 This would keep them organized and set at one place so that they can immediately be grabbed in the hour of need. In this specific project, we wanted to do something different. 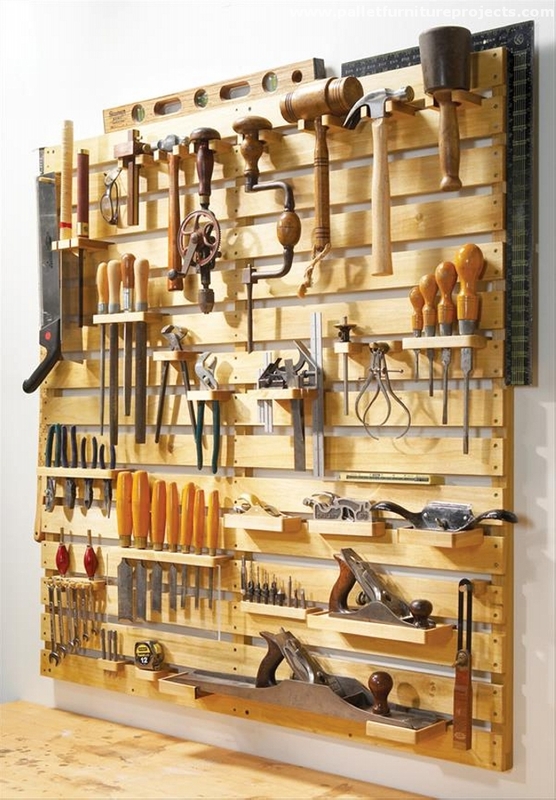 So we made this wall rack especially designed for several tools. It has got all the hooks where tools would be hanged, and all divided portions for some delicate tools, being high from the ground this is another positive aspect. Tools ar far from the access of kids. 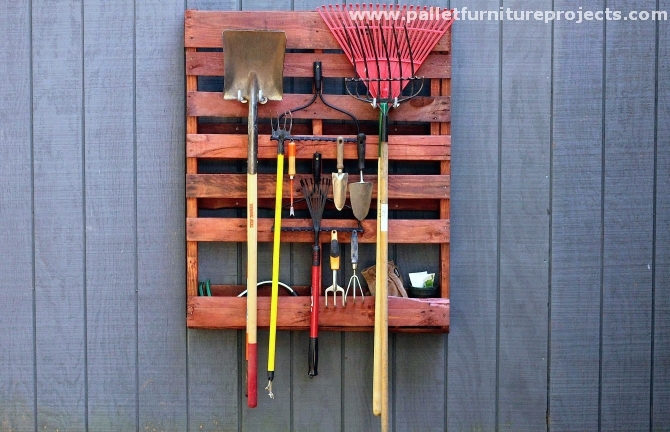 Another simple and easy pallet wood tool rack is here, seems like a plain whole shipping pallet is hanged along the wall. We actually fixed some metallic hooks, made a little amendments in the shape and then simply hanged it along the wall. So relatively an easy one for sure. And this vintage is for some grown up crafters who want art to be all around them. Very well shaped and also well equipped with all necessary hooks for hanging purpose, this is put to some best use for the gardeners to work in their full capacity having the immediate access on their tools.